A solitary, medium sized, alkaline soil tolerant, moderately fast growing, dioecious palm. Rare in cultivation, vulnerable in the wild. It has a hairy, brown trunk, 3 m. (10 ft.) tall, 17.8 cm. (7 inch) diameter with no obvious leaf scars, and large segmented, palmate (fan) leaves, 0.6 m. (2 ft.) long, 0.6 m. (2 ft.) wide, bluish-green above and, brilliant white beneath. Confined to cracks and crevices of near-vertical limestone cliff-faces in the wild habitat. Most of the trunk hair falls away from the trunk. This plant is suitable, while young as a houseplant or conservatory plant. Trachycarpus princeps can survive freezing temperatures to about -9.5°C (15°F), but freezing is best avoided. 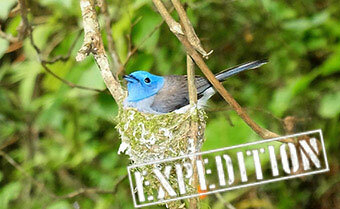 It naturally occurs in wet rainforest or seasonally wet forest in high montane locations. In this type of natural environment temperature fluctuations are slight, and this palm prefers a constantly cool or mild climate with little temperature difference between day & night, and Summer & Winter. Under extreme freezing conditions we recommend you keep this palm as dry as possible, and well wrapped up. 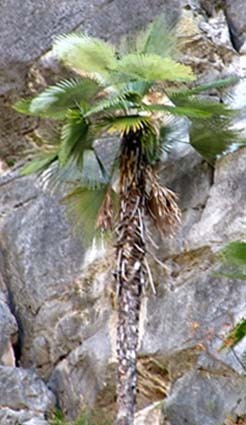 An exceptionally attractive palm with a chestnut coloured trunk, and palmate leaves blue-green above and pure white beneath. Trebrown hortícola viveiros ter seu Trachycarpus princeps sementes disponíveis, apenas £6.67 por pacote! Compre o seu sementes agora, enquanto eles ainda estão disponíveis!